Regular readers know I usually promote shopping locally because it benefits our community and makes for a more sustainable lifestyle. Yet the Internet brings lots of things right to our desk and makes things available from other wonderful communities around the globe. The key to successful online shopping is to spend your time wisely, and curated buying sites can make it easy. 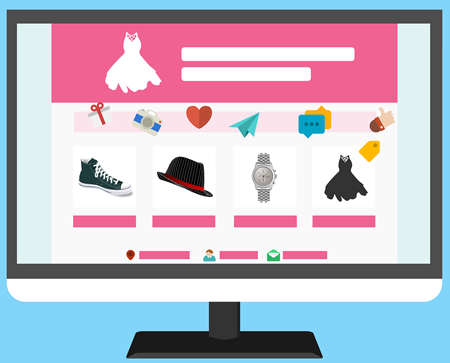 Curated buying sites are entities online that carry merchandise from multiple suppliers, providing one-stop shopping opportunities for a host of different things. The largest (and probably most successful) of these is probably Amazon, where you can get everything from an automobile to a comic book and just about anything in between. But I’m writing about smaller sites that bring an individual aesthetic to all the merchandise they offer, despite it coming from a variety of sources. This is particularly true of the curated sites offering women’s clothing and accessories. Here are a few I’ve come to rely upon for merchandise that is unique, well-made and fairly priced. “Shop directly from emerging brands around the world,” Tictail says on the front page, and that’s exactly what you’ll most about this website, which features clothing, jewelry, and decor from new designers around the world. Check out the blouses by Mapache by Dark Green, crafted in Barcelona, Spain and just perfect for our Tucson sunshine...or the fabulous socks from Cornaert in France. And there’s plenty of men’s clothing and accessories on Tictail as well, so get your sidekick to wander through the site, too! You can sign up for Tictail’s sale alerts, and to save products you’re considering but not yet buying. The site will also send you product recommendations ‘tailored to your taste’. Tictail’s spring/summer lookbook features 28 emerging brands from 12 countries and every single page is filled with fabulous things you and yours will enjoy during the sunshine to come! those July days to come...made from handwoven textiles in the best stripes of the season. The Modern Nomad Collection is brand new, and all done in black, white and bold. The Shibori caftan is going to look great at those summer barbecues! Accompany also offers visitors the ability to sign up for regular offers of all sorts, and includes an enrollment discount. Farfetch delivers an enormous selection of the worlds’ luxury fashions for the whole family right to your door. Farfetch provides worldwide express delivery, and same-day delivery in most of the world’s major cities so if you’re visiting Paris, your clothing can be waiting at your hotel -- now that’s luxury indeed! Truthfully, Farfetch has no competition: they are the largest luxury retailer online. There’s currently a 10 percent sign-up bonus, and you’ll get regular emails that include sale announcements. I like the range of designers they include at Farfetch, from established to promising newcomers. Editorials give all sorts of helpful fashion advice, and the site has a team of personal shoppers who provide ‘bespoke’ services for private clients. Keep is a bit different - more of a cross between a shopping site and Pinterest. You can ‘save’ things you like in collections, and if the item begins to run out, Keep will send you an email while there is still time to order one. They also regularly send coupons discounting what you purchase on their site, and they do the shipping (no matter who the manufacturer is) so you have one responsible party to deal with. Right now, Keep has a fantastic selection of bathing suits, and since they carry upwards of a dozen brands, you’re bound to find just what you’re looking for! comfort of home, purchase astounding decor items from the four corners of the Earth. Now that’s sustainable shopping!